Do you have one of these problems with your toilet? 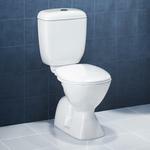 Do you have a loose or broken toilet seat? Is your toilet leaking water into the toilet bowl? Have you got a wobbly toilet bowl when you sit on it? 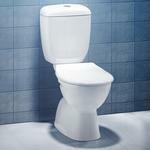 Do you need a new toilet bowl and cistern supplied and installed? Do you have a sticky toilet button that stays down when you flush the cistern? We repair, service and install Caroma, Fowler, Villeroy and Boch, Vitra, Johnson Suisse, Raymor, Posh, Ideal Standard plus more. 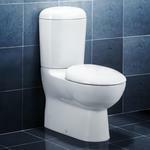 Toilets come in a variety of different styles, shapes, colours and sizes. 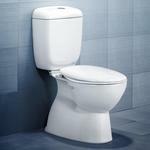 Most common types of toilets include in wall concealed cisterns, low level cisterns and close coupled toilet suites all of which are models that we are familiar with at repairing or replacing. If your toilet is an old ‘water guzzler’ single flush toilet that you would like to replace with a modern dual flush toilet suite we can advise you on the options available and offer prices to help you choose a solution to meet your needs and budget. Single flush toilets on average use up to 30,000 litres more water per year than a dual flush toilet suite!